With the approach of December comes my second and last craft show for the year. 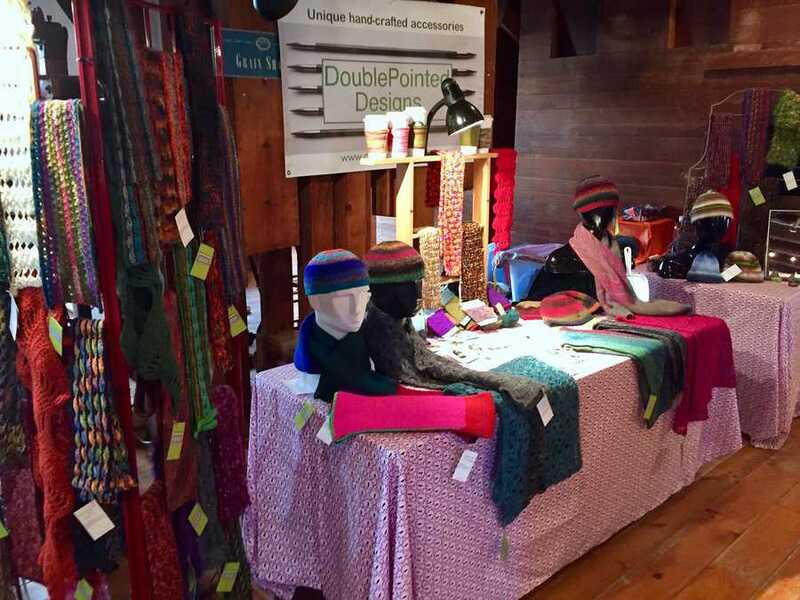 Each year for as long as I can remember, there has been a fantastic craft show at Prallsville Mill. 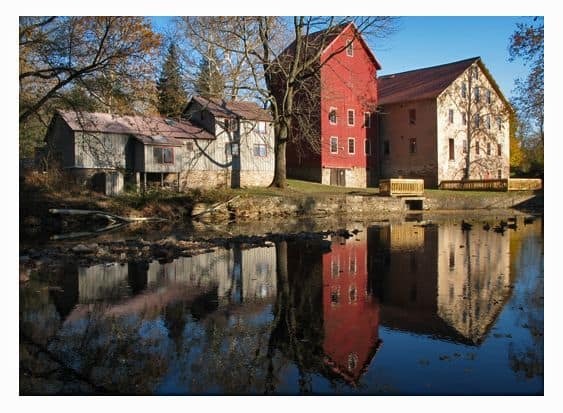 Prallsville Mill is in Stockton, NJ, one of many beautiful river towns on the Delaware River. The show is always early in December so folks can do holiday shopping. The event always attracts some exceptionally talented artisans and craftspeople. And for the last couple of years, they have also let me sell my knitwear at the show! Both of my current WsIP are for the upcoming Craft Show. 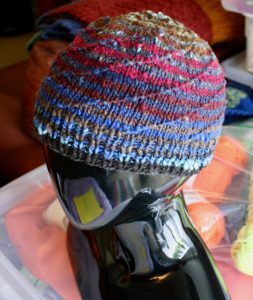 I finished another West Coast Watchcap using two different colorways of Noro. I really love how the spiral patterning mixes up the colors a bit. 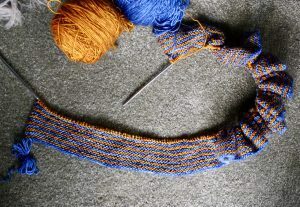 I made minimal progress on the latest Garter Stole as well. Still enjoying knitting such a simple and beautiful project.